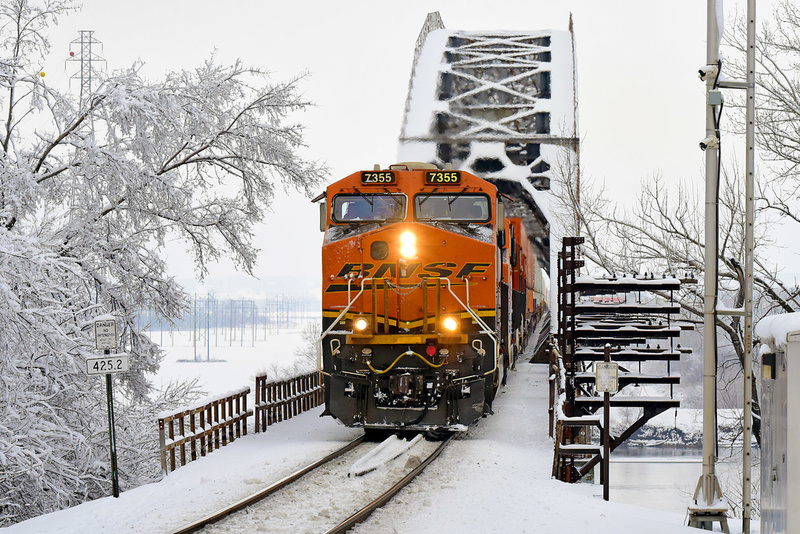 BNSF ES44DC 7355 Sibley Railroad Bridge MO Sibley Railroad Br..
BNSF 7355 West traverses a snowy scene I last recorded in 12/91. On some other site I saw a photo from the USA: the railway arrow to the right-to the left in the middle of the bridge. Where is it?